"The people come to the court to resolve their disputes because they trust judges and they need judicial service. I must try my best and exhaust all efforts to help them," said Wu Wenshan, a judge in Tianjin. Wu is the vice-president of the Wuqing People's Court in Tianjin. 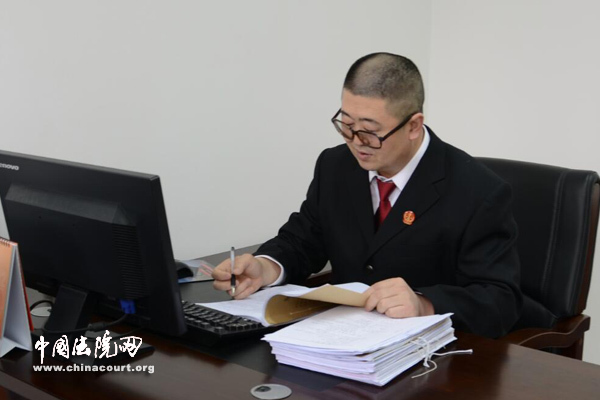 He has performed his duties for the past 20 years or more at grassroots court and has developed a unique method of handling cases fairly, accurately and efficiently. Wu has concluded about 500 cases per year since 2014 and he is able to complete a total of 19 in one day. He owes the efficiency to method -- catching the key issue in each case. Unlike most judges who are used to handling cases from the judges' angle, Wu often analyses the disputes from the parties' perspective, which makes them more acceptable to the parties and the process more efficient. For the past two decades, 95 percent of the cases dealt with by Wu were resolved through mediation, which saved time for trial procedures and improved efficiency. Wu said he understands that parties are upset when they are involved in disputes, particularly they are from other areas. Therefore, he always tries his best to solve the problem quickly and fairly. Wu is not only an efficient judge, he is also hard working. He never returns home before all the cases before him are resolved. Wanqingtuo People's Court accepted a dispute about farm land in April 2013. Both parties were angry and anxious. Wu understand their worries as farming is very seasonal. More than 400 villagers were involved in the dispute and the disputed land covered 300,000 sq m. If the ploughing season were to be missed, farmers would have to wait for next year, which would bring great loss to the villagers. To conclude the case more quickly and encourage the parties to accept the judgment, Wu worked for three days and nights to collect materials, analyze the case and resolve the dispute. The dispute was settled within a week, with all parties were satisfied with the result. Wu said judgment does not mean the end of a case, as solving the problems after the trial should not be overlooked. He recalled a serious traffic accident which resulted in four deaths and two disabilities. The judgment of the trial required the insurance company to pay 240,000 yuan ($35,416.51) as compulsory traffic insurance as the defendant could not afford more compensation, which was unfair to the plaintiffs. 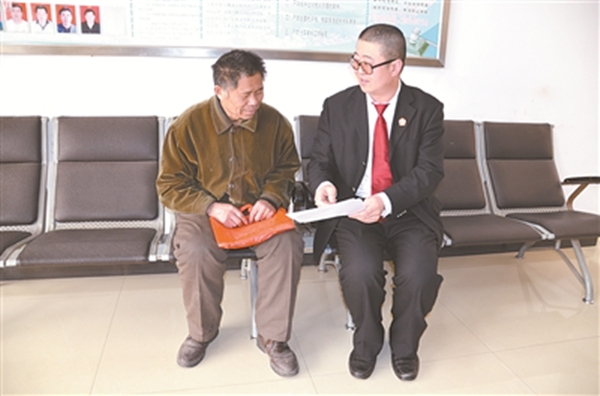 To protect the plaintiffs' rights and interests, Wu decided to visit their families in Taian, Shandong province, to collect more information. Later, he went between the plaintiffs' homes and the insurance company several times, comforting the families on the one hand and showing the company reasons to give more compensation on the other. Finally, the insurance company agreed to provide the victims' families with one million yuan. To better tackle the cases, Wu made a record of every case, which later become a set of mediation methods that he often uses to settling disputes. "There's no secret in dealing with cases. I just firmly adhere to the principle of justice for the people and maintain judicial fairness," Wu added.